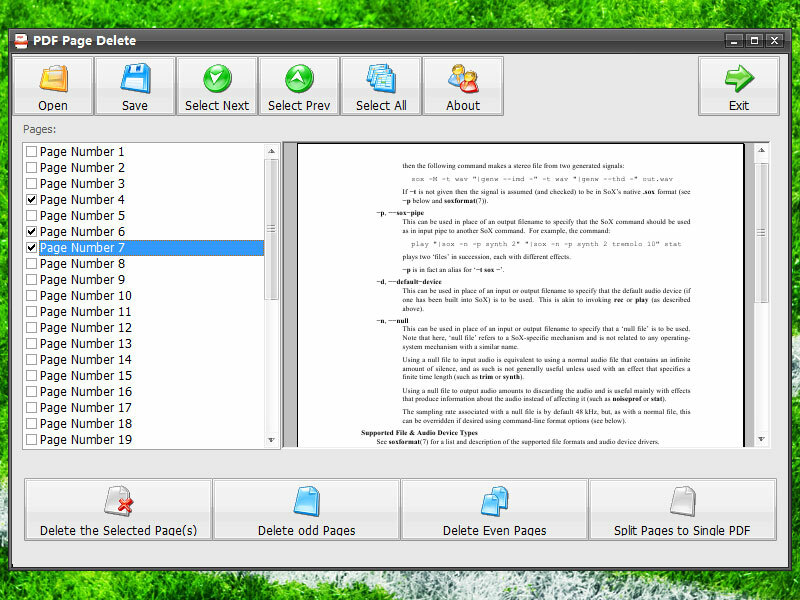 PDF Page Delete is a small application to delete pages from PDF. The program can fast delete PDF pages you selected, and save the result to a new PDF file. Also it could split PDF Pages to single PDF files or by PDF page range, and delete odd/even pdf pages. 1- Run PDF Page Delete, open or drop your PDF file and then you can see all page numbers in the list. 2- Select the page numbers you want to delete, then click "Delete Selected" button. 3- Click "Save" button to save the deleted PDF to a new file.